Funky Polkadot Giraffe: Happy Belated Cow Appreciation Day! Happy Belated Cow Appreciation Day! so we could take the kids to Cow Appreciation Day. Hope your Cow Appreciation Day rocked! And the giveaway at Purdy Things in Life. And the giveaway at My3boybarians. Those are very cute. 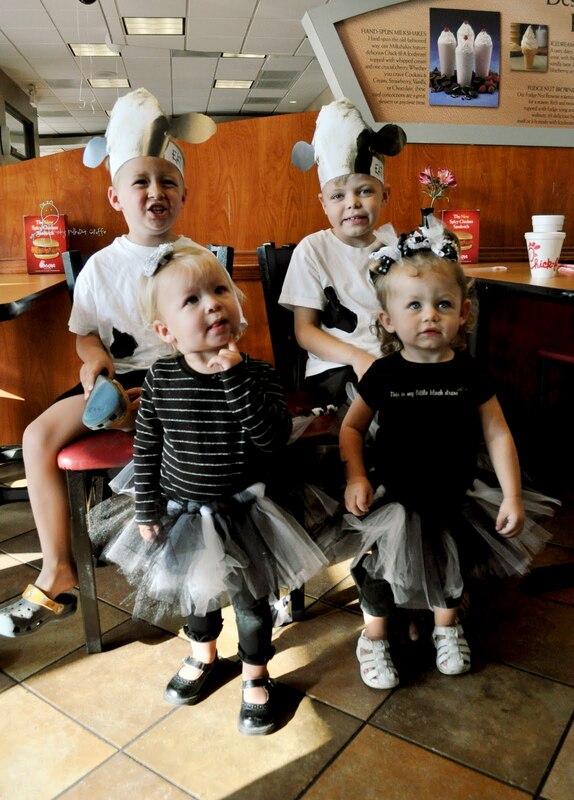 I keep seeing all these cute cow costumes and I'm kind of jealous because we do not have a reason to wear one, lol. Cute picture, thanks for sharing.